Doubt he'd be doing the make up again unfortunately, Hanklily, it took far too long at his LFCC appearance. Ended up not doing a lot of autos at the time. 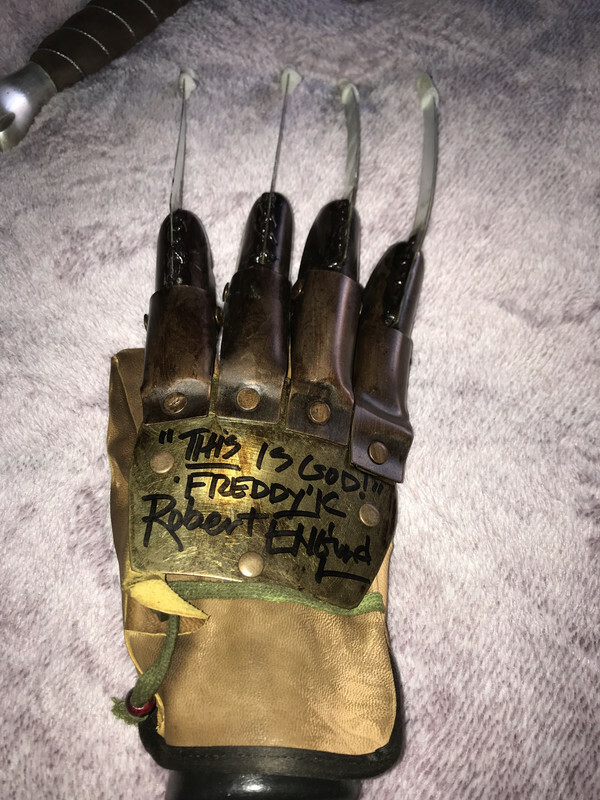 Met Robert Englund in Belfast a few years ago, he's an amazing guy. 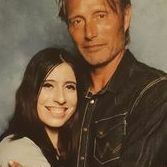 I can’t wait to meet Robert again!! Last time I met him in Exeter and had him sign my back and tattooed it on. I was halfway through a full back piece of horror and want to show him the finished piece! Will Robert do just his signature without a person's name on the item? Personalisations are never certain or guaranteed Dawnie, so even if he has before he may not this time or vice versa. However that said, it's usually only the really big names you can say for certain won't be so there's a good chance he may. Thank you so much for your response. I will be keeping my fingers crossed that he will. Can't see that being a problem Dawnie, he will be busy but just catch him when his queue starts to quietened down also he's always personalised before when asked. Legend! Thanks for your response. I'm only there for a limited time, so will have to hope that he will do it. I had VQ 256 at around 10.15am and thought I would be in a good chance at the rate he was going, but they closed the queue at 4.45pm due to Robert England leaving early today at 5pm. They got to VQ 1-151. Understandably there are a lot of peeved off people today, but not a fault against the staff; they did their best. I would have thought Robert would stay longer for the fans, but I guess he can only do what he is contracted to work with his entitled breaks. Looks like it'll be Diamond Pass for me on his next appearance (hopefully sooner than later).. If guests leave early it usually means they have a flight to catch. I have to admit I was a little surprised how busy he was, as he has been to a fair few SM shows over the years I believe. Maybe because with all the sporting guests Collectormania has a slightly different crowd? I didn't hear anything about him catching a flight, other than he apparently missed his earlier breaks and wanted to use them at the end of his working shift. Either way he is a slow signer and he definitely wouldn't have gotten as far as he did without the 'one autograph per VQ ticket' rule to everyone including those pesky dealers. They also made Gold passholders get VQ tickets. I'm still surprised by how busy he was. 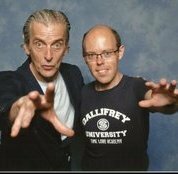 He wasn't able to fulfil diamond passholders at LFCC due to his makeup photoshoot, but his appearances at Cardiff and Collectormania 20 in 2013 were much quieter. He hasn't done anything significant since to explain the increase of demand. It can only be down to increase of convention attendees. I also think the sudden increase of successful (non-showmaster) horror cons around the UK have most likely introduced new people to this scene. I didn't hear anything about him catching a flight, other than he apparently missed his earlier breaks and wanted to use them at the end of his working shift. Oh ok, I had never really thought of guests having fixed hours like that. Had VQ 97 on Saturday. Started queuing for his auto at 11am, managed to see him around 2pm. 3 hours waiting in the queue, but totally worth it. What a gent, one of the loveliest guests I've met. 3 hours waiting in the queue, but totally worth it. He was lovely, but the whole point of the vq system is that you don't have to wait 3 hours in a queue. It's a great system and it's frustrating when it breaks down. I don't know if its accurate but someone mentioned when i was there yesterday that Robert is going to stop doing European conventions? May explain why he was so busy. I've heard through the grapevine that he might be reducing the number of appearances, but not stopping. Showmasters have already confirmed he will be a diamond pass guest next time. I was VQ 44 first thing in the morning on Saturday and didn't manage to see him until well into the afternoon. Got chatting to some lovely people in the various queues, though, and some of those staff members really do have my sympathy. Things looked to be running a lot smoother yesterday. And as expected, Robert was an absolute gent.